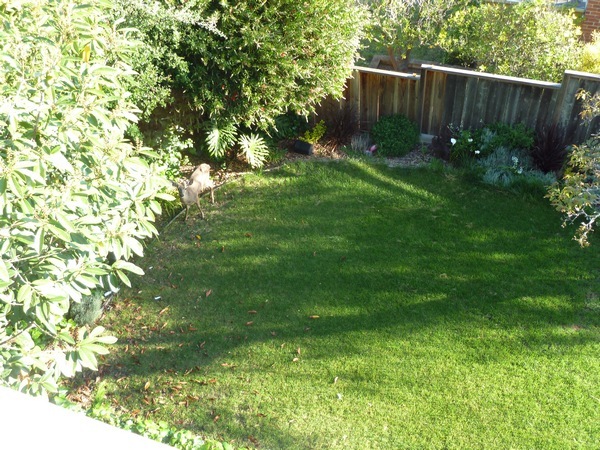 I stepped out on the deck the other morning, soaking in a little bit of the bright morning sunshine we've had recently. Then, I looked down, ready to survey the overgrown ivy I'd need to pull on the weekend. I ran inside and yelled at everyone to wake up. Morgan's spirit animal had blessed our backyard! After an intense staring session through the downstairs window, we eventually became too noisy and the little guy ran off. I don't know where though. It's not like we live in the forest. We live on a hill. With houses and streets. How he even got here is kind of a mystery to me. Maybe he came from the nearby park? I like his antler nubs. 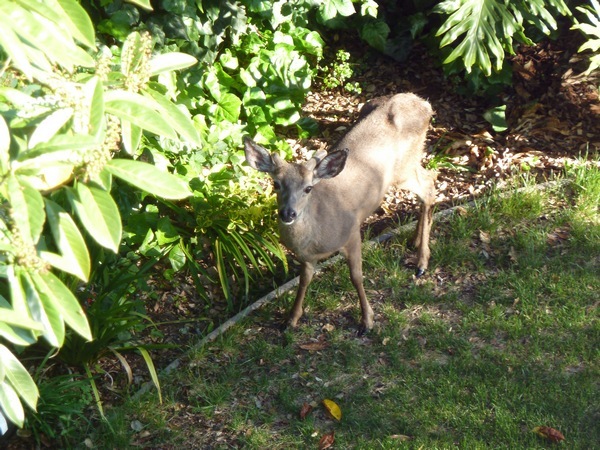 Anyway, it was pretty cool to see a deer in the backyard! Usually we only get squirrels. Or whatever was eating oranges on my fence. LOL that was such a cute, little deer! :D Hahaha orange thief! 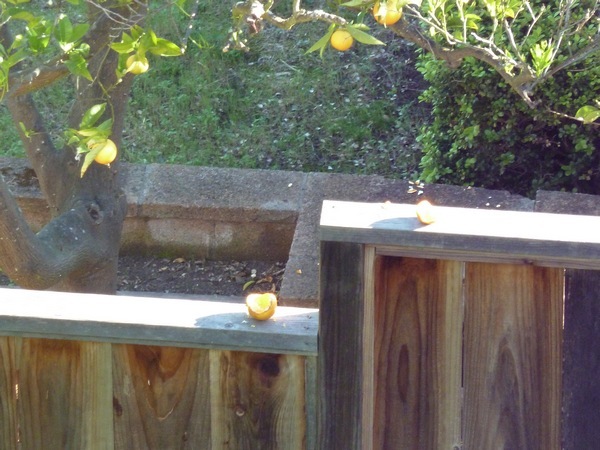 And in Cali, we had squirrels steal our oranges all the time. They'd always leave them on the fence, just like that! Oh hello! Um, what?! 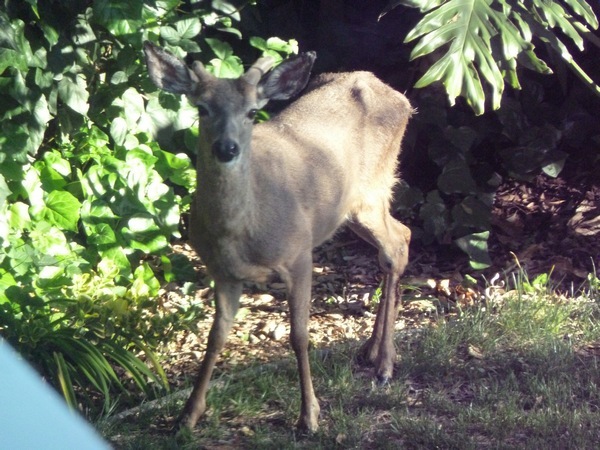 I didn't know deer would come into backyards even in your neck of the woods! I hope the little guy didn't get lost on his way to like, the Santa Cruz mountains or something! What a cutie! well hello little one! how cool.